’After The Last Dance’ is the latest book by Sarra Manning. Kings Cross station, 1943. Rose arrives in London hoping to swap the drudgery of wartime for romance, glamour and jiving with GIs at Rainbow Corner, the famous dance hall in Piccadilly Circus. As the bombs fall, Rose loses her heart to a pilot but will lose so much more before the war has done its worst. Las Vegas, present day. A beautiful woman in a wedding dress walks into a seedy bar and asks the first man she sees to marry her. When Leo slips the ring onto Jane’s finger, he has no idea that his new wife will stop at nothing to get what she wants. So when Jane meets Rose, now a formidable older lady, there’s no love lost between them. But with time running out, can Rose and Jane come together to make peace with the tragic secrets that have always haunted their lives? I’m a huge fan of Sarra’s books, they’re always witty and sassy stories of strong women, so when she moved to Sphere Books to write Historical Fiction, I was curious to see how this genre would work out for her and I’m delighted to say that I really liked this book. The story floats between two times, 1943 during the peak of World War II when Rose moves to the bright lights of London, where she hangs out with her new friends at Rainbow Corners, she meets GI’s and falls for a handsome American pilot, a man who promises her the world as the war rages around them, she feels safe with him and hopes for a future with him when the war is over. The story then moves forward to present day, where we meet Jane, who’s just run from away from her fiancé in Las Vegas. She meets English gentleman Leo, a charismatic man who is riddled with his own ghosts and demons, she convinces Leo to marry her and two of them embarking on a turbulent relationship. But, when the pair of them return to England when they receive word of Leo’s sick aunt Rose, the two of them find themselves not only getting to know each other but themselves as well. I loved the characters in this book, particularly Rose and Jane, two fiery and passionate women, who argue against each other but yet so similar in their lives as well as their concern for Leo, a troubled soul, who has yet to settle down. After living through the war and losing friends and love, Rose has become a hardened and successful woman who is not afraid to voice her opinion. Whilst Jane, has a spent a her time running from life and trying to finally find happiness, but as she gets to know Leo, she begins to realise that life isn’t always about material possessions as the two of them form a bond with each other, as they deal with the difficulty of Rose’s illness. The story is beautifully written and oozes glamour from the first page, set against the bomb ridden back drop of London, the social dance halls provide the perfect distraction to the war that claims lives around them. The plot line is skilfully written and has a playful narrative throughout whether it’s the banter between Rose and her forsaken nephew Leo, or Leo and Jane beginning their new relationship, the dark scenes of war and carnage are accompanied with tender love scenes. An atmospheric story that spans wonderfully over the years, ‘After The Last Dance’ is a sophisticated love story that pulls the reader in. 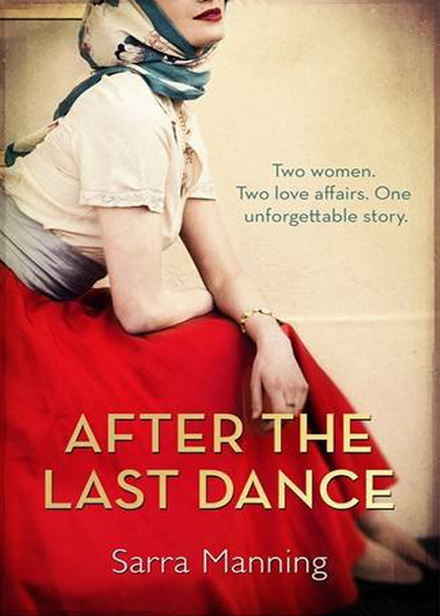 You can buy After the Last Dance from Amazon and is available to buy from good bookshops.